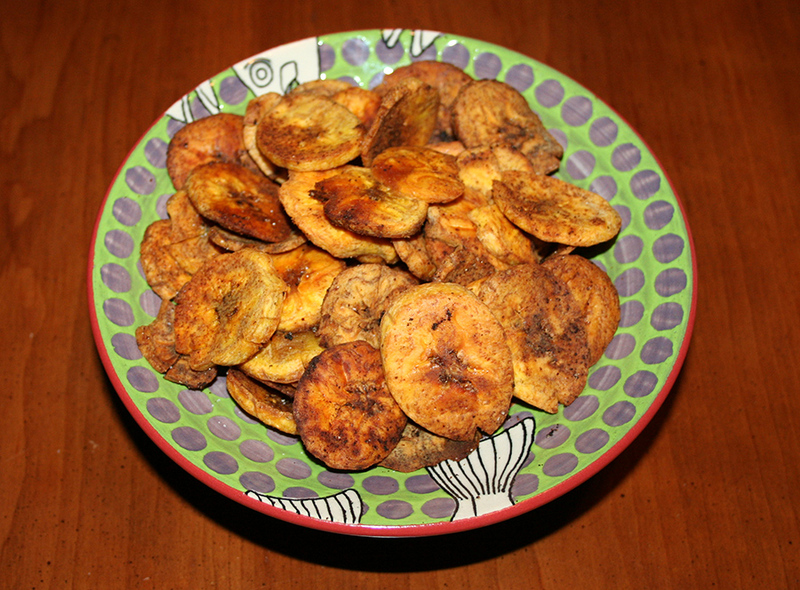 I love plantain chips when I am looking for something crunchy to snack on. I love the flavor. Sprinkled with a little salt – it’s the perfect treat. It never occurred to me to make my own though. 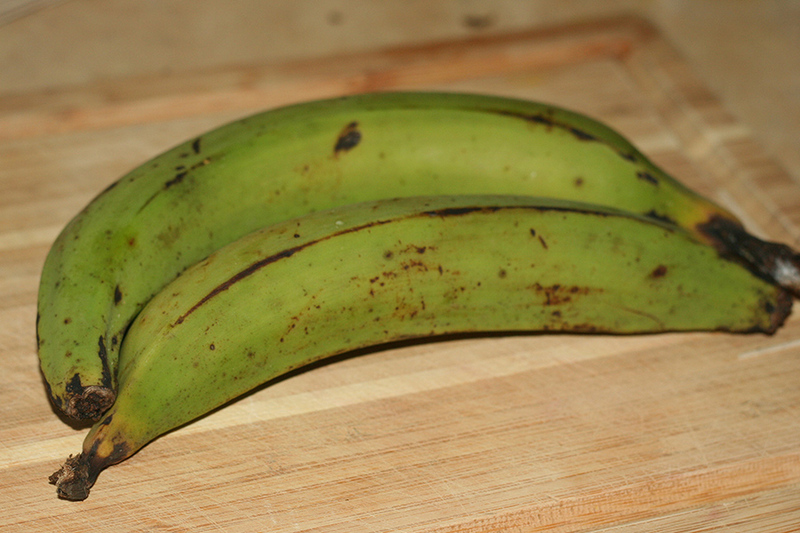 Whenever I pick up some green plantains in the market, I tend to stick with tostones or use them in a hash. I’ve always relied on the bagged chips though. Not sure why – especially now that I know how easy they are to make. What I don’t like about the bagged variety are the additives. Way too much oil and sometimes other preservatives might be added to the mix. 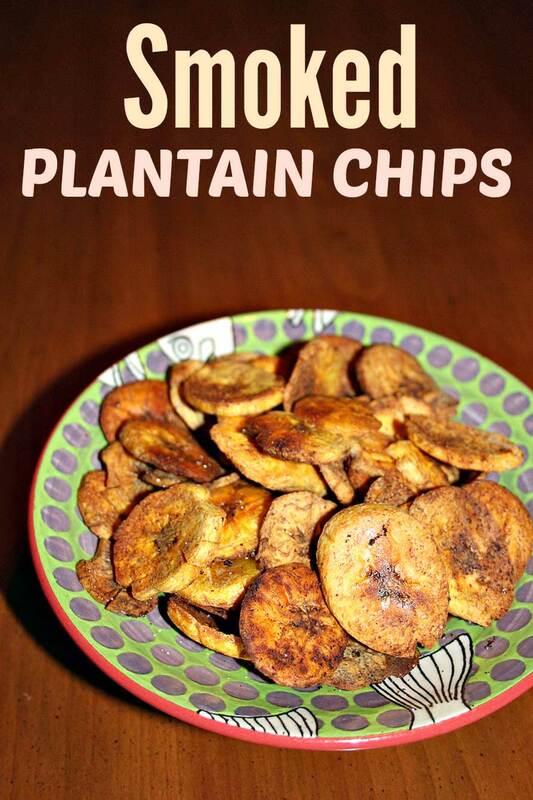 Plantains are a fairly healthy starch and when prepared properly, are not so bad for you! So I made my own. And since I couldn’t just be all simple, I needed to spice it up. I chose to go the smokey route. I added some smoked paprika, garlic and salt. So easy! Tossed it all on some olive oil. Laid it on a baking sheet and then baked it for about 30 minutes or so, flipping over once. How easy can it get? I let them cool about a minute before munching on them. They were so good. I’ve definitely given up my bagged plantain chip habit. These are so much better! Bake in the oven for about 30 minutes, until crisp. Flip the chips half-way through the baking process and check on them toward the end to ensure that they aren’t burning. Cool for a few minutes before eating.